Welcome to our first homecoming pickleball tournament! You may be surprised that pickleball is here at LLUH. Since our last Homecoming gathering, pickleball has EXPLODED on the scene here at Loma Linda University. 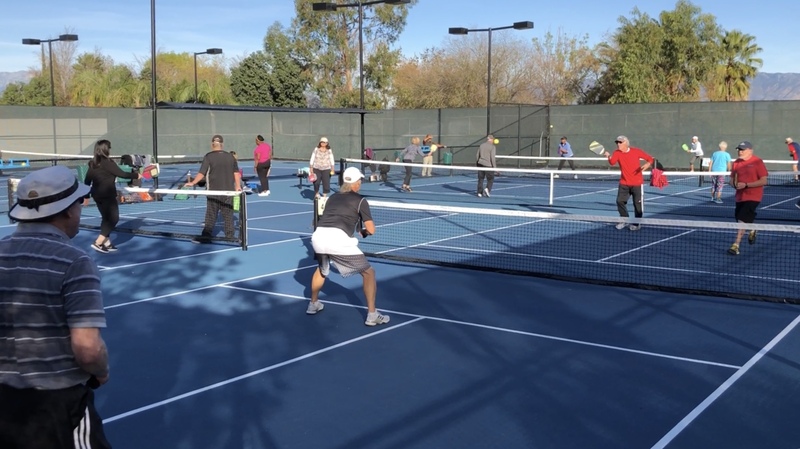 The Drayson Center is now the largest pickleball facility in all of California! Not only that, pickleball has popped up in the surrounding cities--Redlands, Riverside, Grand Terrace, Highland, and Yucaipa. And it doesn't look like it's slowing down any time soon! We know that alumni come from all over North America and the world, and since pickleball is growing by leaps and bounds in other states as well, we figured that there has to be some alumni coming to Homecoming that play pickleball. Format is a rotating round robin, games to 11, win by 2. Each round, your partner will be determined by the luck of the draw: your names will be placed in a "hat" and drawn out to form teams. After every game you play, your score will be tallied for both you and your partner. At the end of the tournament, your total score will be combined with the total scores of other players connected with your school, then an average will be calculated to give your school an "average" score. The school with the highest average "wins" and will get their school placed on a trophy that we plan to use every year. We hope you join us for this inaugural homecoming pickleball tournament! Please be sure to go to the homecoming registration site and register for this tournament. There will also be prizes to raffle off to all the players. All net proceeds will go to help support the scholarships for Nursing and Pharmacy.